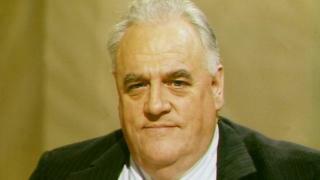 People did not want to believe former Liberal MP Cyril Smith was "capable" of abusive behaviour, an inquiry heard. David Bartlett's Rochdale Alternative Paper (RAP) ran an article about a police investigation into the Rochdale MP in 1979. He said six men gave statements on oath relating to abuse at the Cambridge House hostel, which closed in 1965. They involved "inappropriate touching" and "medical examinations for which he [Smith] wasn't qualified". The independent inquiry is examining the late MP's alleged abuse of young boys in Rochdale care institutions. Mr Bartlett and co-editor John Walker were the first journalists to publish abuse allegations against Smith. They were "careful" over what they ran because "we stood to lose our homes if we were wrong," the inquiry was told. RAP decided it had to run the story because Smith was running a re-election campaign based on his personality using a slogan: "Smith the Man." Mr Bartlett, a retired lecturer, said it was "depressing" but unsurprising that Smith received an increased majority at the 1979 general election. "People didn't want to believe that someone they regarded as a hero was capable of these kind of things," Mr Bartlett said. He told the inquiry that several journalists from national tiles had said they were "waiting" for Smith "to die" before publishing anything on him. Earlier this week the inquiry heard that, while researching the May 1979 article, Mr Bartlett was lied to by the office of the then Director of Public Prosecutions (DPP) Sir Thomas Hetherington when he asked about an earlier Lancashire investigation. He was first told no file could be found, before being given a statement claiming "the DPP cannot trace such a case being referred to us, but cannot confirm or deny receiving it". However, a previously secret document - disclosed to the abuse inquiry - revealed Sir Thomas Hetherington then contacted MI5 to say the reporter had been "untruthfully told" there was no record of the case. The DPP said the file had actually "closely accorded" with details provided by Mr Bartlett, according to the MI5 document.